How Many Cold Calls Per Hour Should I Make? What is the objective of my call? What is the quality of my list? Will I be using a CRM? Are the calls cold (never been contacted) or are the calls warm (is this the second or more attempt)? Will there be any additional sales related activities required, e.g. quotes, order processing, and appointment scheduling? When you have answers to these important questions, you can calculate your cold call activity rate. List Quality: Average. You have a Company name, Point of Contact, and phone number. Cold Calls: This is the first attempt for this list. Sales Administration: Meetings need to be scheduled. When you are making your first attempt at cold calls, we recommend that you spend a few minutes researching the company you are calling by looking at their website or doing a quick Google search on the company name. You can get bogged down and absorbed in this activity if you are not careful. I suggest you spend no more than two minutes per prospect on this type of activity and another one minute making a quick note in your CRM about what you have learned about the prospect. This will save you from having to look up the company again on your second attempt. Average Cold Call Prep Time = 3 minutes. When your objective is to book a meeting and you are making your first attempt at a contact, your average call time will be very short. You will spend a lot of time in “voicemail land” or being directed to other points of contact by a gatekeeper. These calls will usually average one minute over the course of a day. So, if you assume there will be only a few live contacts/conversations, then your average talk time per call will be about one-and-a-half minutes. Average Talk Time/Call = 1.5 minutes. After each call you should learn something about your prospect that will “warm up” your next call. 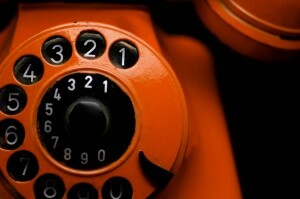 Average Cold Call Disposition Time = 1 minute. Finally, let’s assume that you book two meetings per day as a result of your efforts, and it takes about eight minutes to have the conversation with the prospect and to send out the meeting invitations. If you work an eight-hour day and your entire day is dedicated to cold calling, this activity will average two minutes per hour. Scheduling Meetings = 2 minutes. In summary, when we include pre-call research, the actual call, and post-call CRM updates, you should allow an average of seven-and-a-half minutes for each cold call. 60 minutes divided by 7.5 minutes per call equals 8 cold calls per hour. In our experience, a diligent inside sales person making their first pass through a new list will be able to easily achieve 8-10 calls per hour. The cold calls per hour will increase as the list becomes warmer and more refined over the next few calls. This will allow a good inside sales person to average 10-12 calls per hour while effectively maintaining and updating information in the CRM. Therefore, when asked how many cold calls per hour should an inside sales person be able to make, a fair and reasonable response is 10 calls per hour. To learn more about how to set more meetings and build a bigger pipeline, download our eBook detailing the “Active Demand Generation” methodology. Mike Faherty Mike Faherty is Founder & CEO of ProSales Connection, LLC a Sales and Marketing firm based in Houston, Texas. ProSales Connection specializes in helping B2B and technology companies grow through sales appointment setting and outsourced inside sales programs.